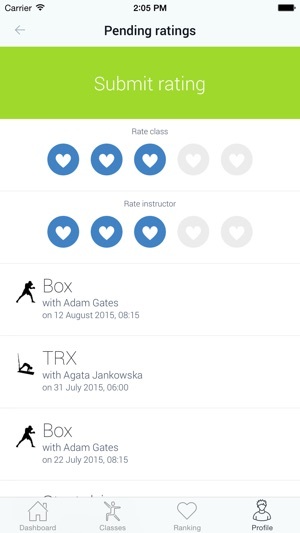 PerfectGym Go is an app for clients of fitness clubs using PerfectGym system. If you are not sure if your club uses PerfectGym ask at the reception desk. 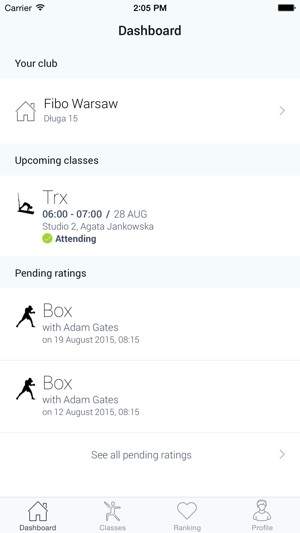 - Download PerfectGym Go to look up class details, trainer info and easily sign up for your favourite fitness classes. - Browse most popular classes in your club and sign up with one click. 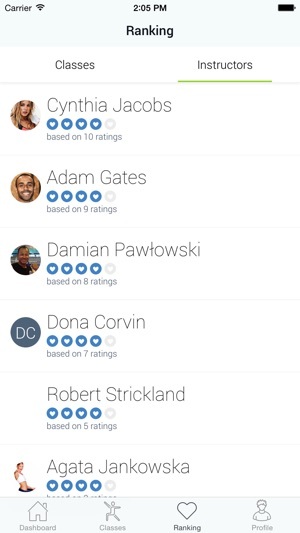 - Manage all the classes you have signed up and rate them appropriately. - See who is currently in club and who has signed up for classes. 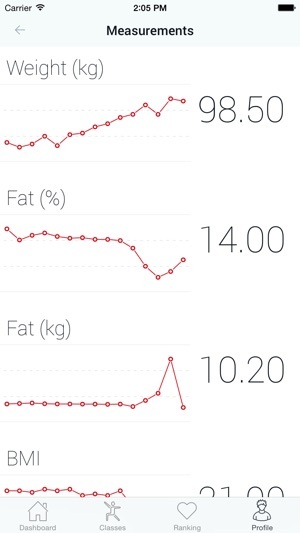 - See your body measurements on a beautiful graphs. 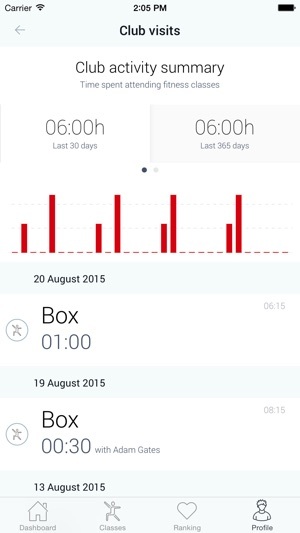 - Track your club activity. - Manage your membership and pay your membership fees. - Find out more about your club. 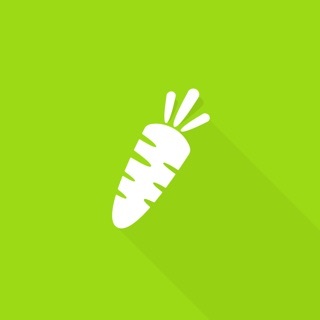 Please add this iOS features that works in apps like swipping from left. Also this app need screen adjustment becuase there are information below the bottom bar and because of that it is impossible to interact. Nevertheless idea of this app is great. No data is displayed after logging in. No classes, or club information. © 2019 Perfect Gym Go Sp. z o.o.